At Queen of Wraps, we offer the best advertising vehicle wraps around. The thing that really sets us apart from the competition is our design ability. 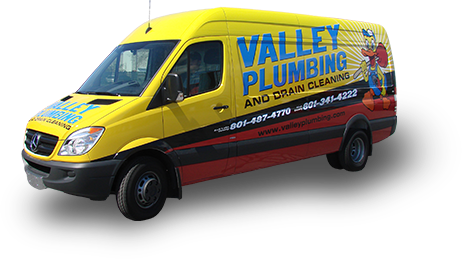 Above all we have the experience and expertise to make a vehicle wrap design that will increase your brand awareness and help customers remember you when it comes time to make a purchase decision. All of our wrap options include a top notch graphic design package. These packages will generally include a few versions of a design based on your input and revisions. If you are interested in custom illustrative work or logo/brand creation, contact a wrap specialist and we will be happy to give you a quote. Whether you simply need graphics or a full color change we can help. Furthermore, if you need wraps on one vehicle or a national fleet, we have the capabilities to assist you. There is no vehicle wrap more popular than the full service wrap. Vehicle advertisements are a great way to increase your brand awareness. 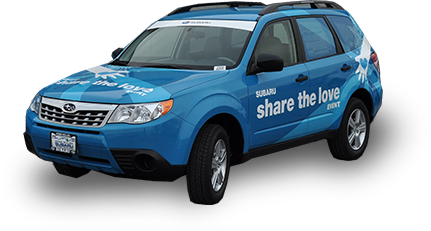 With a full vehicle wrap you will expose your company and brand to hundreds of people every day. The cost of vehicle wrap advertising is far less than other forms of advertising since others are typically an ongoing expense; but, with a full vehicle wrap you pay a one-time fee and receive endless exposure in return. Also with our full service wrap you will have your entire vehicle professionally wrapped by our team thanks to our royal installation. You’ll also receive help from our graphic design team to layout the perfect design to best represent your company. If you already have an idea for a design or if you need to start from scratch, we’ll work with you to get result you desire. If you’re not fully convinced that you need a full vehicle wrap, then the ¾ wrap is another popular alternative. Typically, this wrap will begin on the front doors and extend around the rear of the vehicle. This wrap is still large enough to get the attention you want from your community, promoting your business in an effortless way. The ¾ wrap is ideal for white vehicles, since this color can easily be incorporated into the design of the wrap. Also included is our royal installation as well as graphic design perfectly suited to represent your brand. With a vehicle wrap you get non-stop advertising to thousands of people each month. If you’re wondering which wrap is best for you, please contact us today. Whether you’re looking for a less expensive wrapping option or you simply feel that you do not need a full or ¾ wrap, Queen of Wraps also offers a half wrap for your vehicle. The coverage area is about half of the vehicle and allows for some good advertising while also being wallet friendly. With the half wrap you will still be able to showcase your business and grow your brand with a wrap design that will grab people’s attention. Fortunately, you can work closely with our graphic design team to figure out how to get the most out of your half wrap. If you are struggling with your own design ideas we are happy to help, or if you already know what you want, then we’ll get right to work on wrapping your vehicle with our royal installation. The partial wrap is, perhaps, our most customizable option. We are well equipped to create a partial wrap to suit any need, budget, or vehicle ad. If you know the size of the wrap you want and the area you want covered, we will give you a quote on the cost. If you are working with limited funds we are happy to suggest partial wrap options based on your budget, whether it is $300 or $3000. Either way, we will work with you to create a layout and design that will help you get the most for your money. Sometimes, all you need is the right graphic to put on the sides of your vehicle, and then you can hit the road with neverending advertising. Get your partial wrap today and let our team create a professionally wrapped vehicle advertisement for you.